Did you spend one too many a day in the same threadbare, pallidly toned sweatshirt during exams? Is your blanket with sleeves starting to look like an attractive fleecy swaddling for non-couch activities? My friend, things can turn around in your sartorial life in 2014. You probably have the solutions at hand…or, more accurately, in closet. Find an aesthetic vision or passion and follow it. If you’ve always admired 1920s flappers, Vikings or pastel Harajuku teenagers, than try bringing these interests into your clothes. Research the specific fits, cuts and histories behind this chosen aesthetic. Gather a library of images to refer to when recreating the look yourself. For instance, obvious places to look for flapper inspiration would be silent film actress Clara Bow and *Great Gatsby* adaptations. When you find something you like, save it. Look through your existing wardrobe and figure out what fits into your vision. Try to keep a minimal set of properly fitting, versatile clothes that can be adapted with tweaking or accessory changes. A longer dress could be tailored into a flapper appropriate drop-waist shift with a little effort, saving you a few bucks. 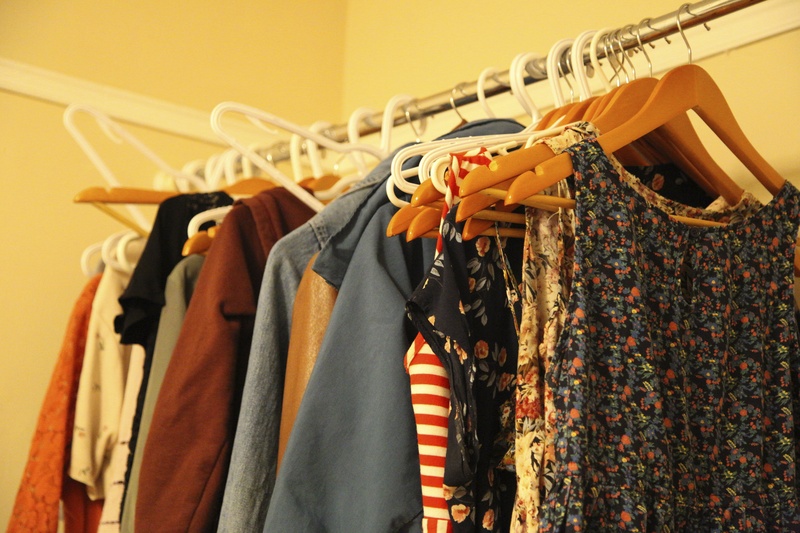 Pick pieces you rarely wear out for consignment, donation or clothes swapping. This is the fun part. Now that you have a fitted, basic set of clothes, you need to scavenge for accessory pieces to complement your vision. If you have no budget constraints, good for you. Go crazy with the cloche hats and long strands of pearls. For the rest of us, these items can be found cheaply. Check thrift stores, junk drawers, eBay, yard sales and crap on the curbside to put together a collection of unique and strange accent pieces. I find detachable fur collars at Value Village for under five dollars all the time, and these are a great ethical and affordable way to change a basic jacket. Pick up a simple sewing kit from the dollar store to learn basic stitches and clothing maintenance. You can alter garments to suit you better, keep buttons in place and help clothes to last longer for about two bucks. With your inspiration, basic items and accessory pieces assembled, you can finish off with easy-to-change touches through hair and face looks. For example, someone running with a flapper inspiration might try a messy bob and Clara Bow pursed lip to round out their simple set of clothes.